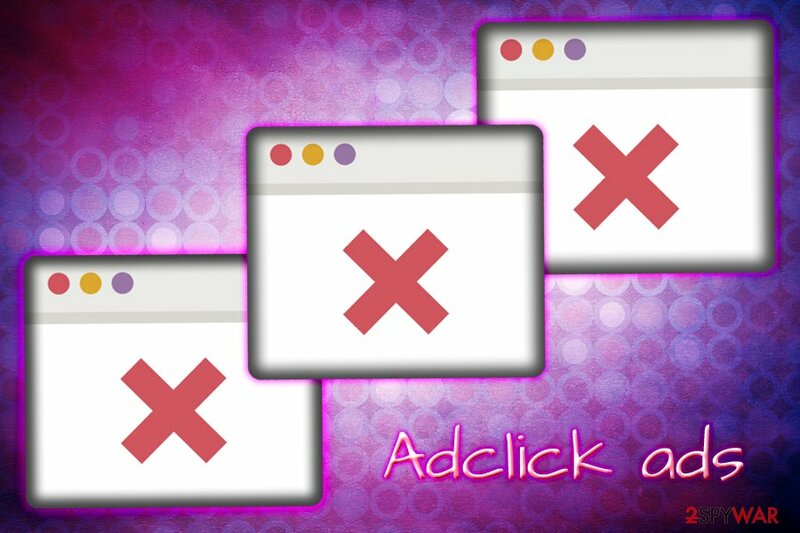 Adclick is the PUP that uses misleading techniques to prevent removal. Use Reimage to locate malicious components and get rid of them faster than with uninstall instructions. A full system scan blocks virus reappearance and prevents traffic to malicious domains. 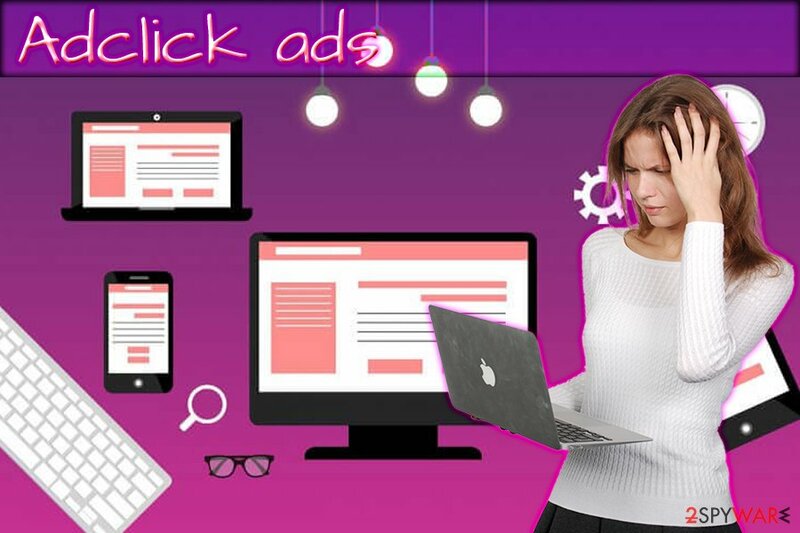 Adclick is a legitimate advertisement platform that helps website owners to monetize on ads shown to its visitors. While it's a great way to benefit the site owner, some bad actors may employ this service by using adware programs, which would display intrusive ads non-stop on Google Chrome, Internet Explorer, Mozilla Firefox, Safari or other browsers. Legitimate ads shown on websites are embedded inside it, while adware-spawned ones will come into sight on every site that you visit. Additionally, adware is capable of spying on users' browsing habits for targeting advertisement. Because of such dubious behavior, some people refer to this phenomenon as Adclick virus. Technically, none of the security researchers would recognize Ad-Click as malware, because it does not possess the qualities of it – no system files are corrupted, neither does it propagate itself. That being said, adware does come into the system using a questionable distribution method called software bundling – shareware and freeware authors use this method to include additional components within their installation wizards and purposely try to hide potentially unwanted programs inside. Nevertheless, users can still opt-out of the optional installs such as Adclick adware. However, in most cases, ads will not be marked at all, which might complicate Adclick removal. Nevertheless, reputable security software can be employed to track down unwanted programs. Certain programs are also capable of preventing PUPs from entering the machine altogether, therefore, it is worth investing into one if you think that you are at a higher risk of the infection. Additionally, the dubious Adclick adware might collect non-personally identifiable information about users. This data is anonymous, but might still be misused for advertisement purposes. Furthermore, personal details like email, name, address might be used in ad campaigns as well, including spam emails sent directly to the Inbox. To conclude, security experts recommend you to remove Adclick adware from your machine as soon as possible. You will find detailed instructions below this article. Additionally, you should scan your computer with Reimage to make sure that all the changes performed by adware are set to default again. Frequently, the adware-type programs are spread with the help of “bundling” strategy. 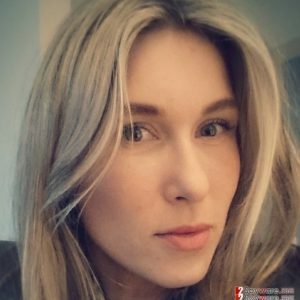 The essence of this technique lies in attaching irrelevant applications to programs which are in daily demand. They include pdf viewers, download accelerators, media players, audio editors, etc. Thus, most likely, you happened to download one of them recently. As a result, a potentially unwanted program entered your computer. If you are wondering how it happened – you used “Recommended” or “Quick” settings during the installation progress failing to notice the pre-marked add-on. Thus, we recommend selecting “Custom” or “Advanced” settings and unchecking the pre-marked attachment. If you stay vigilant, you can prevent adware hijack in the future. For Adclick removal, we recommend you check the step-by-step instructions below this article. You are advised to follow each removal step carefully in order to get the desired result and get rid of this adware completely. Otherwise, you will be stuck with the unwanted program until its core components are eliminated. After the process, you will have to reset each of your browsers individually – we also explain how to do that below. You can also remove Adclick virus by using automatic removal tools that are capable of detecting adware. This option is time-saving and more convenient, especially for those less computer-savvy. Before you proceed, we recommend you choose appropriate security software, update it and only then perform a full system scan. Here, look for Adclick or any other recently installed suspicious programs. Wait until you see Applications folder and look for Adclick or any other suspicious programs on it. Now right click on every of such entries and select Move to Trash. When in the new window, check Delete personal settings and select Reset again to complete Adclick removal. Once these steps are finished, Adclick should be removed from your Microsoft Edge browser. Here, select Adclick and other questionable plugins. Click Remove to delete these entries. Now you will see Reset Firefox to its default state message with Reset Firefox button. Click this button for several times and complete Adclick removal. Here, select Adclick and other malicious plugins and select trash icon to delete these entries. Click Reset to confirm this action and complete Adclick removal. Here, select Extensions and look for Adclick or other suspicious entries. Click on the Uninstall button to get rid each of them. Now you will see a detailed dialog window filled with reset options. All of those options are usually checked, but you can specify which of them you want to reset. Click the Reset button to complete Adclick removal process. ^ Adware. Wikipedia. Free Encyclopedia. ^ Banker Trojan. Investopedia. Financial site. ^ DieViren. DieViren. Spyware reviews and news . This entry was posted on 2018-09-25 at 02:24 and is filed under Adware, Viruses. You can quickly scan the QR code with your mobile device and have Adclick virus manual removal instructions right in your pocket. How did you remove Adclick virus?